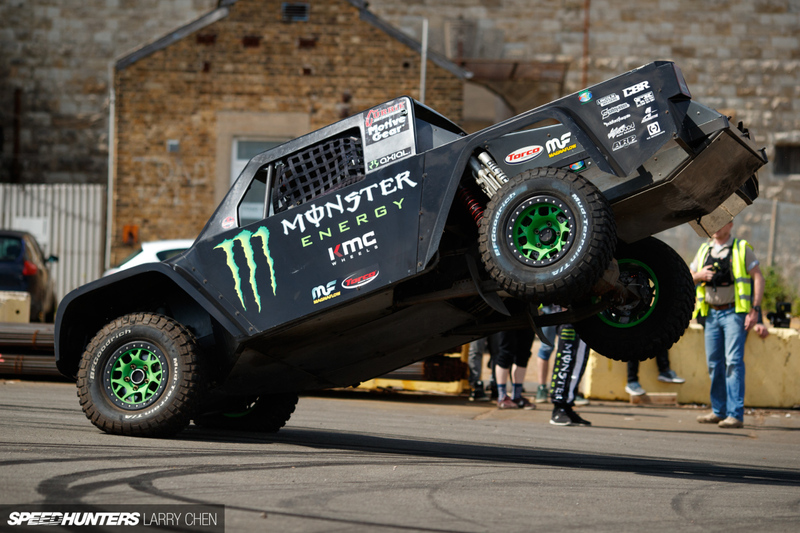 When Monster Energy released the incredible #BATTLEDRIFT2 video last month it took the world by storm. 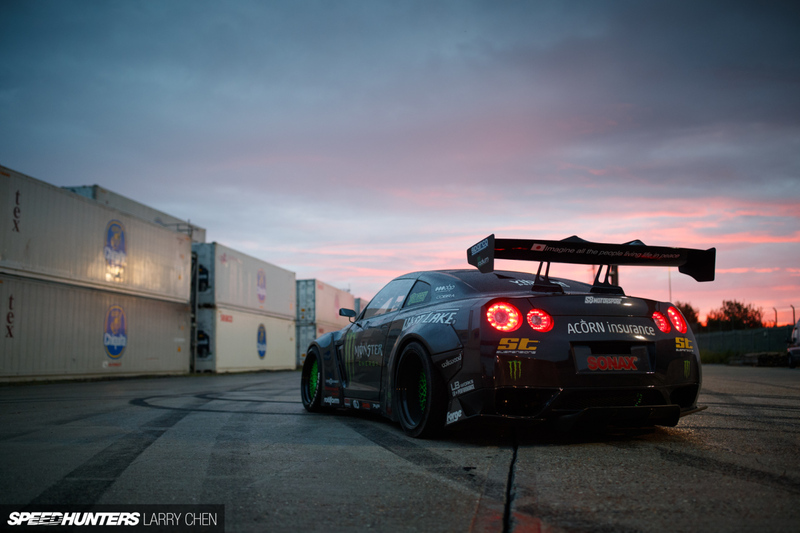 Whether you’re a fan of drifting or not, watching a heavily modified Nissan GTR and Lamborghini Murcielago destroying rear tires at an old shipyard in London is a fascinating sight to behold. However, we here at Moto Networks strive to bring you the most accurate information possible and with that being said, it turns out I made a mistake. I know I’m not the only one to make this particular mistake, but I wanted to clear it up nonetheless. The mistake I made was in regards to the drop dead gorgeous Liberty Walk widebody Nissan GTR driven by Steve “Baggsy” Biagioni. I reported that Biagioni’s GTR produced an estimated 1,400hp, which it does, but I implied it was a highly tuned twin turbo V6 under the hood. However, that couldn’t be further from the truth about the monstrous power plant able to reduce a set of rear tires to a cloud of smoke. 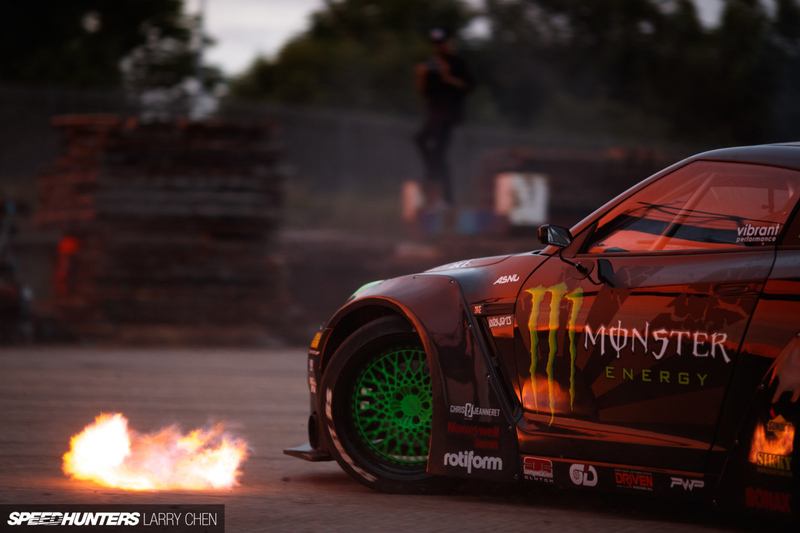 As a matter of fact, it could be argued that the motor under the hood of this flame-spitting GTR is the complete opposite of the 3.8L twin turbo V6 that left the factory floor. 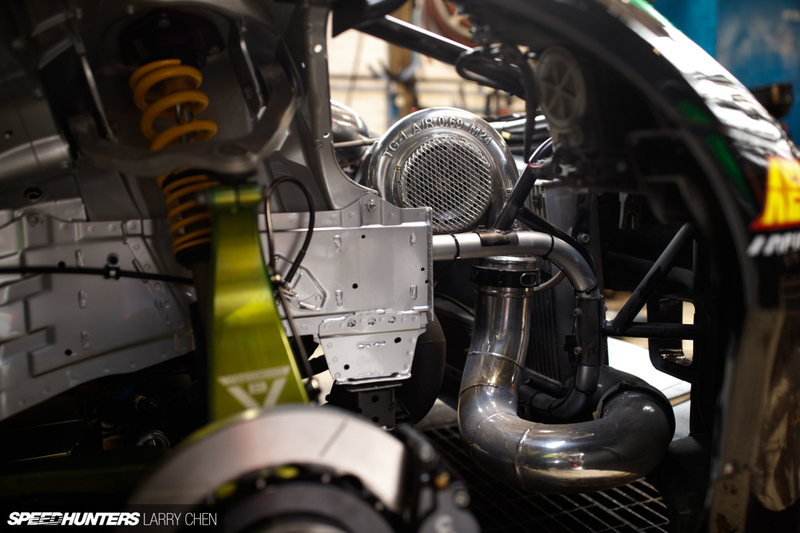 Thanks to this behind the scenes review by professional photographer Larry Chen, and Donut Media, we now know the real monster that lies beneath this stunning exterior is an LSX454 V8 with a single Garrett turbocharger, a massive one at that. 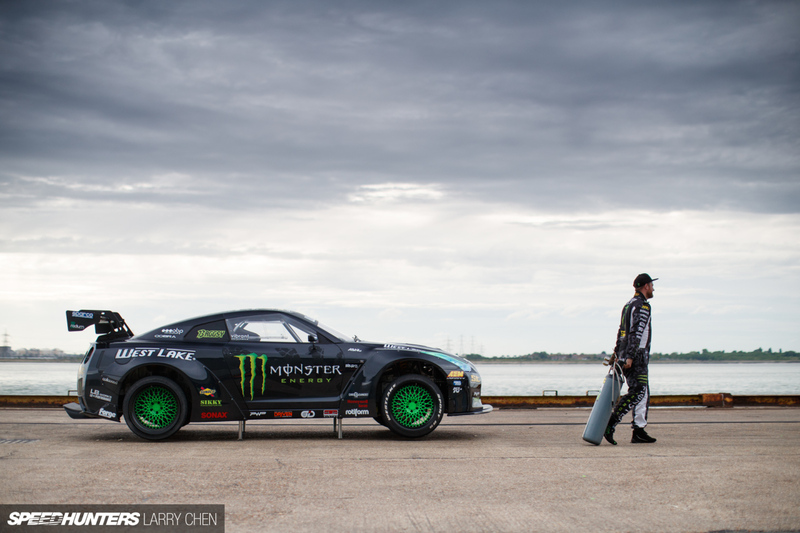 Apparently, Baggsy wanted something that was a bit more reliable and better suited for the high stress drifting puts on a motor. 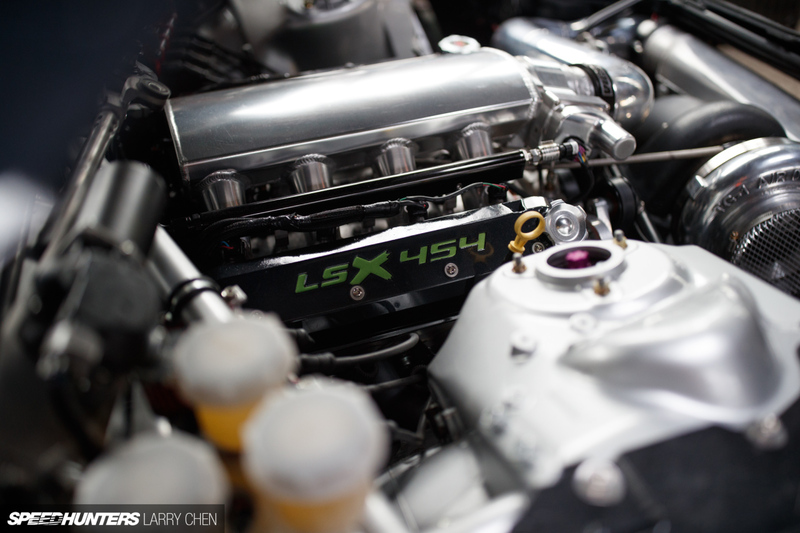 And there are very few motors that can compete with the seemingly bulletproof LSX454. Not only is the LSX designed to handle a lot of power, but possibly the best part about it is it’s fairly inexpensive as far as high-performance race engines go. Which is really important considering it’s not uncommon to grenade an engine during a drift competition. But what did you expect when you’re constantly bouncing off the rev-limiter. When that happens, Baggsy and his crew have plenty of backup parts to rectify any problems that may arise. And having all that still most likely costs less than the price of a single GTR motor, especially one that’s been tuned to produce over 1,000hp. It was interesting to see some of the smaller details about this wicked GTR that would normally be completely overlooked. For example, in order to make quick work of tire changes and other small repairs, the GTR has been fitted with an air jack system similar to what you see on an LMP1 or other pro-level race cars. All you need to do is fit a high-pressure air hose to it and bam it’s lifted to the perfect height. Since it’s been fitted with race fuel cell in the trunk of the car, the stock fuel filler cap was no longer in use. So in what I thought was a nice touch, Baggsy put the air hose fitting where the filler cap used to be. To try and shed as much weight as possible, the interior of the car has been removed, including the dashboard, and all that remains is the mechanical parts. Nothing that doesn’t serve a very specific purpose remains, and you’d think that would completely ruin the aesthetics of the inside of the car. But it’s quite the contrary as far as I’m concerned. Even though it’s bare bones, it looks awesome because you can look down and see everything doing what it’s supposed to do. 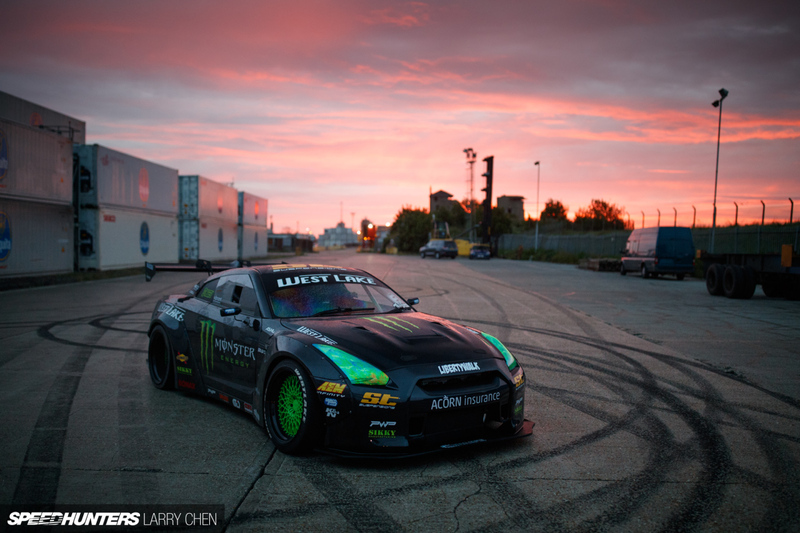 Baggsy and his team knew they would be under heavy scrutiny in the GTR world due to the blasphemous LS swap. But they didn’t let that stop them. They meticulously addressed every square inch of the car to make sure it was built with the highest level of parts and craftsmanship with the hopes that the only thing naysayers could complain about is the beast of a V8 under the hood. And while I have an immense amount of respect for the standard GTR motor, I personally think the new 454ci LSX motor might be one of the coolest parts about this badass little GTR, aside from the overall look and stance of the car of course. 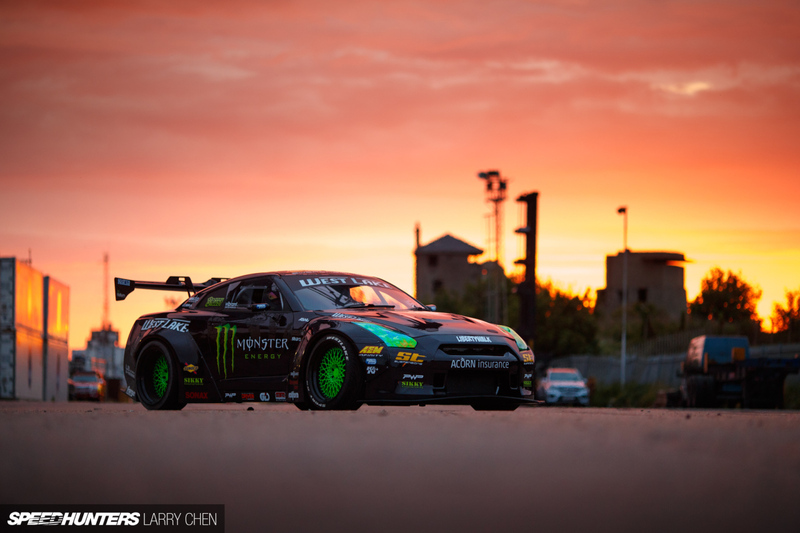 Now that we got that little mistake cleared up, check out the review with Larry Chen and get a brief glimpse into the process he takes in order to get the incredible photos he’s become well known for.